Scene 1: Olà, Pang! Olà, Pong! Scene 1: Liù! Liù! Sorgi! Sorgi! Scene 1: Principessa di morte! Scene 1: Che è mai di me? Scene 1: So il tuo nome! Scene 2: Diecimilia anni al nostro Imperatore! 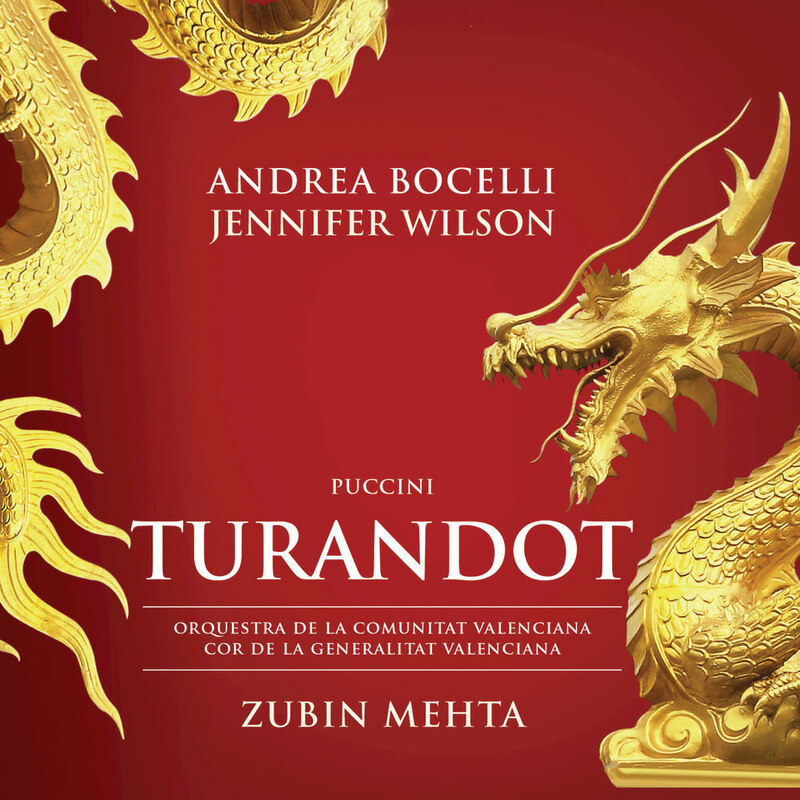 Andrea Bocelli sings Puccini’s final masterpiece Turandot on this emotionally charged account of the complete opera, featuring the world-renowned aria Nessun dorma. Conductor Zubin Mehta, who has made a speciality of this first-class Puccini opera ever since his landmark 1972 Decca recording, draws a stirring orchestral performance from the Orquestra de la Comunitat Valenciana. Starring Bocelli in the lead role of Calaf the unknown prince, his powerful tenor tells a compelling story of riddles answered, triumph secured, honour displayed and love deeply felt. The key role of the icy riddler princess, Turandot, is sung by American soprano Jennifer Wilson.